Dal Alpin(e) is an original design inspired by Alpine fashion. She was released alongside a companion release Isul Eder in November of 2016. Feel Like So: Turn Around Around….on an Alpine Hill….. If I let a Red Dress Stream….. A pleasant melody resounds!! 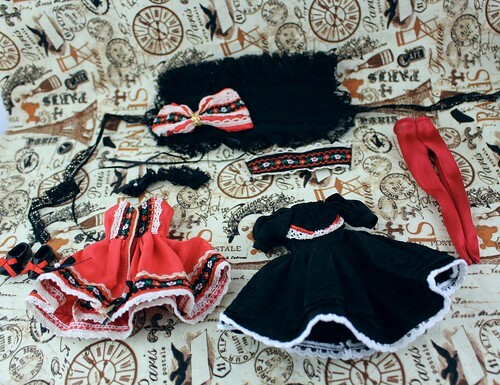 Stock: Dal Alpin’s stock consists of a black dress, brindle, choker, corset, stockings, clogs and headdress. She also has Tyrolean tape intertwined in her braids but I did not wish to remove it. 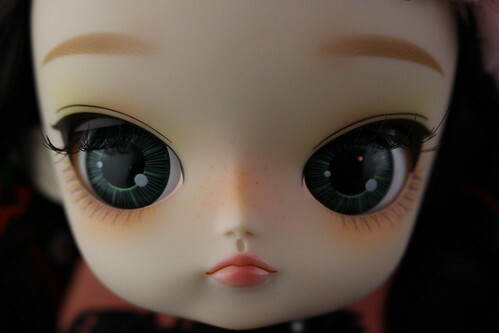 Special Notes: Dal Alpin has freckles, she is one of the few Dals to have freckles the only other one I can think of at this time is Dal Chenille Du Jardin. Known Issues: Dal Alpin’s shoes are a bit big.